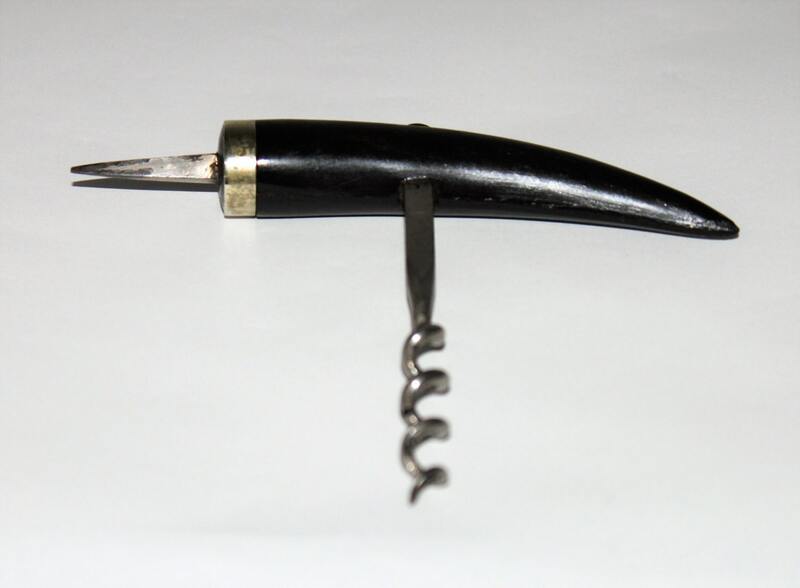 We have for sale an Antique Goat Horn Handle Corkscrew with Spike. 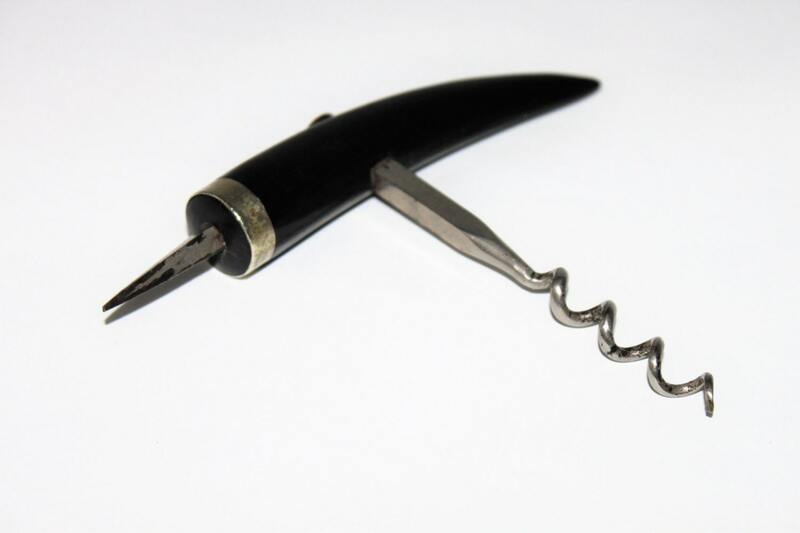 Wonderful English Adelaide Corkscrew. 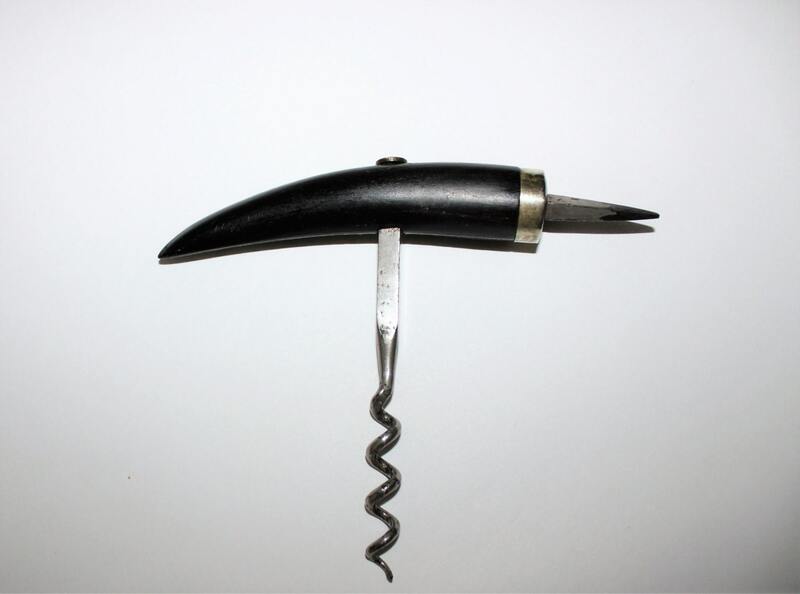 Christopher Johnson style straight pull corkscrew with a spike at end of the handle. 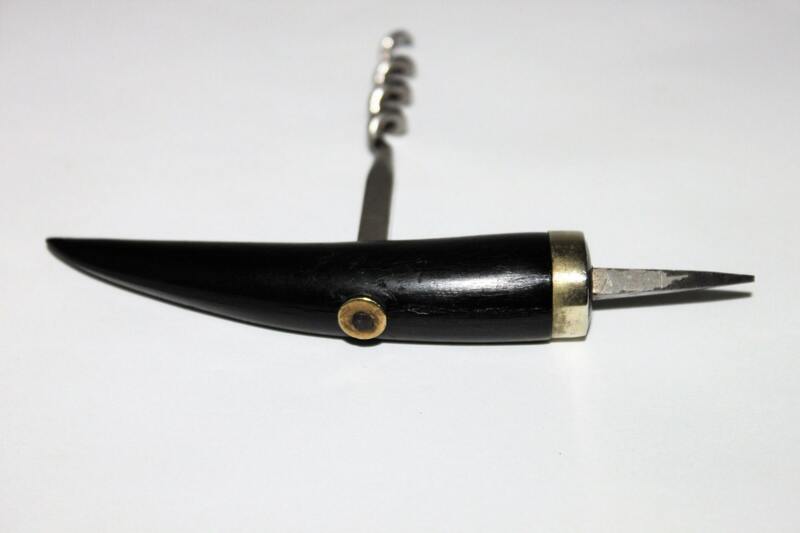 The goat horn handle has a decorative nickel-plated collar at the cut end accompanied with a square shake spike (wire breaker). 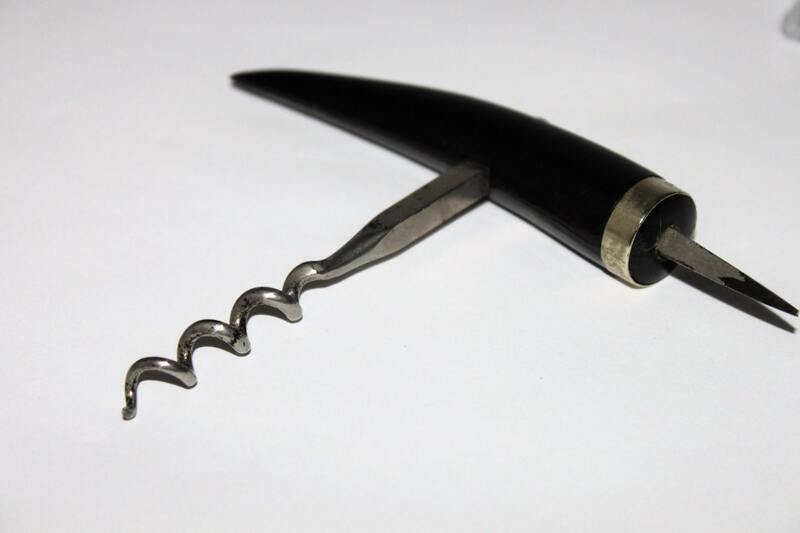 The breaker was used to break the wire or string that was often used to hold the cork in place. The screw is formed from a single piece square shank steel milled into a perfect helix.